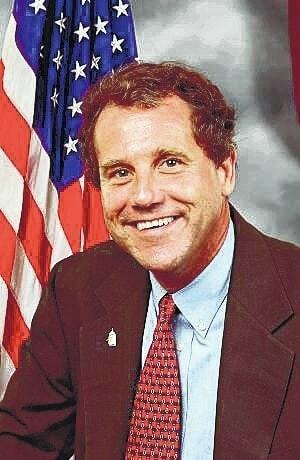 In light of a drug epidemic and record 2,110 fatal overdoses in Ohio, legislators are taking action U.S. Sen Sherrod Brown outlined his efforts to combat opioid abuse in press conference on June 24. Drug related deaths now claim more American lives than car accidents. Overdoses from prescription pain relievers and heroin, “has increased dramatically due, in part, to a lack of treatment available to users and addicts,” said Brown. In Crawford County there have been 35 deaths from drug overdoses during a five-year span from 2008 to 2013. That statistic does not include non-fatal overdoses. According to statistics provided by Brown’s office, deaths from opioid overdoses in the United States have increased by more than five times since 1980. Each year, about 475,000 emergency room visits in the U.S. are attributable to the misuse and abuse of opioid pain killers. The problem resignates in even greater numbers among those who have served in the armed forces. According to a 2011 study from the U.S. Department of Veterans Affairs (VA), patients seeking care at VA clinics are nearly twice as likely to die from accidental poisonings – frequently from opioid medications – when compared with patients outside the VA health system. “It’s shameful that the death rate is twice as high among veterans,” Brown said during the call. He also spoke about his work on the Jason Simcakoski Memorial Opioid Safety Act, legislation that provides safer and more effective pain management services veterans. The act focuses on improving VA opioid prescribing guidelines, as well as individual patient’s pain management. Brown also spoke about a bipartisan bill he helped introduce that would allow health care providers to treat more patients who are struggling with opiate addiction. The Recovery Enhancement for Addiction Treatment Act (TREAT Act) would allow certain nurse practitioners and physician assistants to provide supervised, medication-assisted treatment for patients.